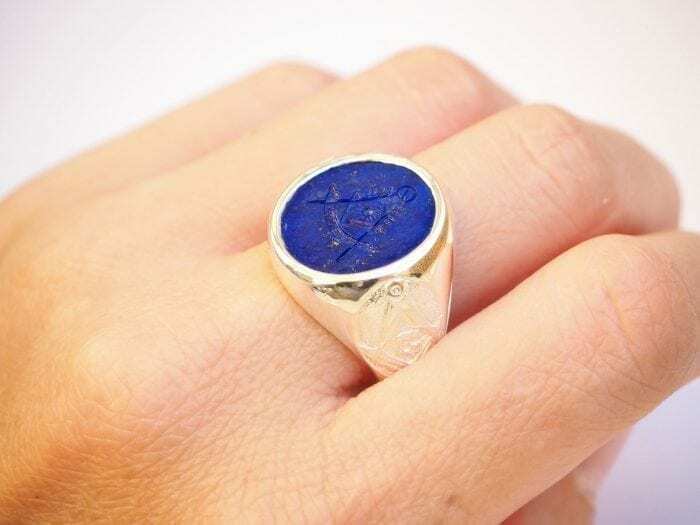 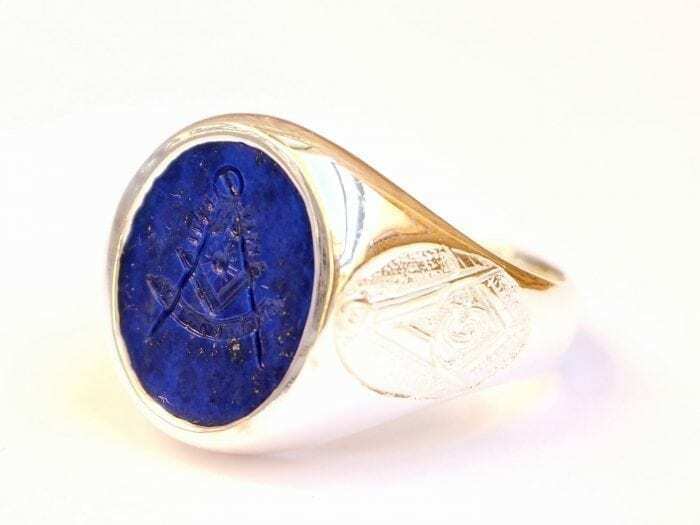 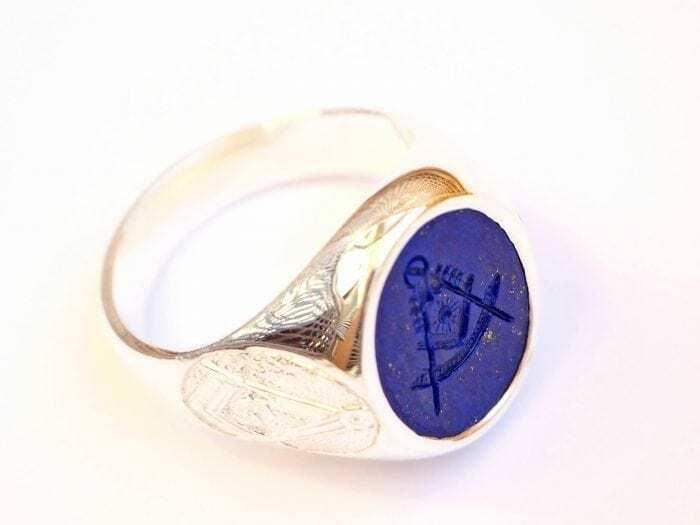 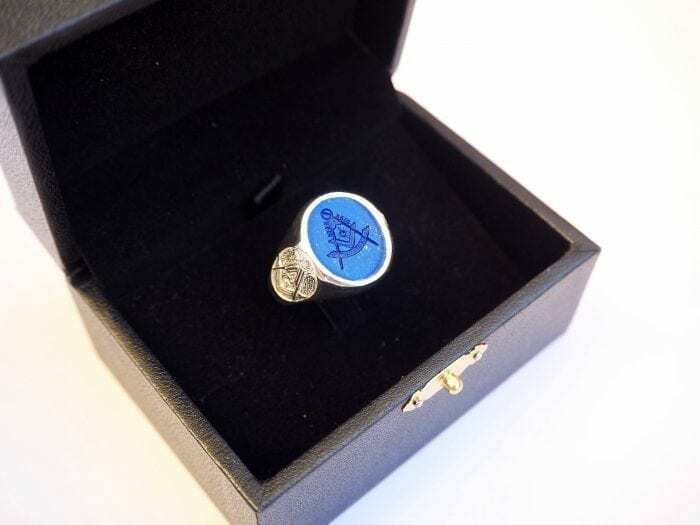 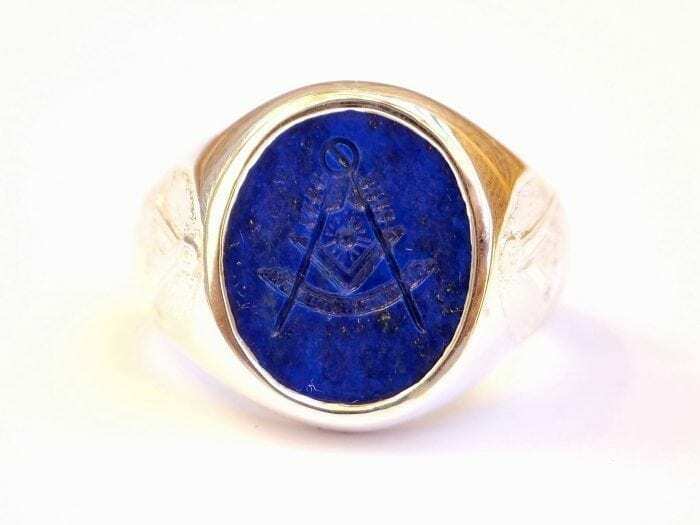 Hand Engraved from a fabulous oval of high quality Lapis lazuli Ring the Masonic Past Masters set square and compass motif. 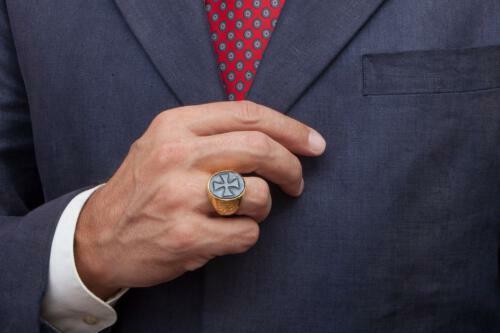 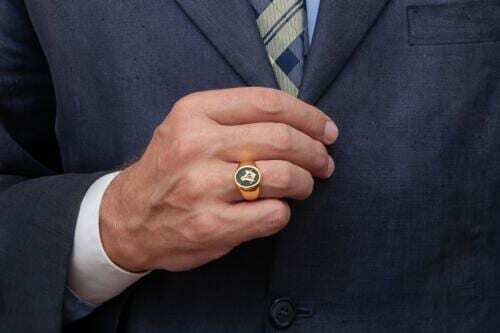 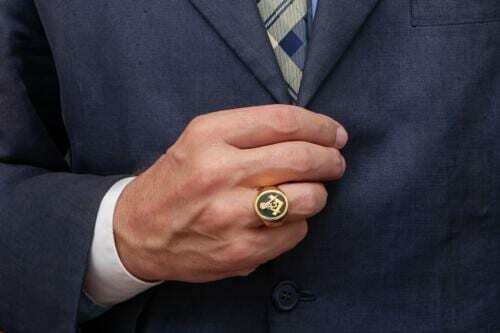 The oval is mounted to a sterling silver chassis which feature masonic shoulders to this man’s Regnas signet ring. The oval face measures 16 x 14 mm (5/8 x 9/16 inch).